My Inspiron N5110 laptop has a weird issue. At very rare times, my laptop shuts down after I put it on sleep mode. I know when it's happening because the power light doesn't flash. When I turn it on again I receive the Windows message that has recovered from an unexpected shutdown. As far as I remember it happened 4-5 times. 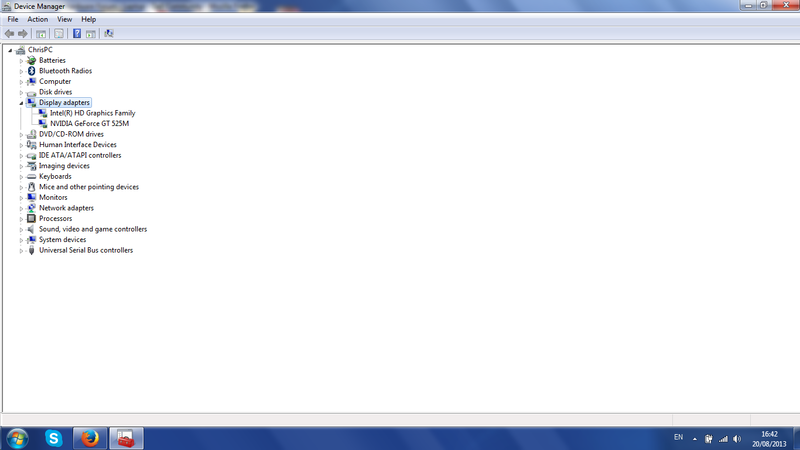 All of the times I only had Firefox (with lots of tabs) running and nothing else. By the way, my laptop had other issues in the past including, problems in the fan, -and since the day I bought it-, it had speakers and hard disk problems. I got these parts replaced and they seem to be running in diagnostics with no errors (except for the fan which still makes weird loud noises, might have to replace it again). If this also helps, my laptop is always plugged in. It's very important for me to get it fixed because I am a student and don't want to lose anything important. You may uninstall and reinstall the display drivers and update the system BIOS. 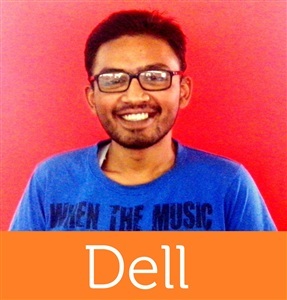 For BIOS updates please refer to the link: http://dell.to/1eYigyq. Please share the operating system installed and paste the screenshot of ‘Device Manager’ with ‘Display Adapters’ expended. Keep me posted with the information. I will be glad to assist you. I have Windows 7 Home Premium 64-bit. I tried to update the system BIOS but I receive the message "Can't flash to the same BIOS version", probably because I have already updated it. Click > sign next to ‘Display Adapters’. Right click the entries (Intel as well as Nvidia) listed under ‘Display Adapters’ and click ‘uninstall’. I have reinstalled the Display Adapters. When I uninstalled the Intel driver it automatically started to install it again. I downloaded the drivers from the links and started to install them. But because the drivers you gave me are outdated, for the Intel driver it asked me if I want to install the older version over the new one which was installed, and I clicked yes. Also with these older versions I think that my laptop is getting hotter than before, I might be wrong though. Now that I have them installed is it okay to update them so I avoid any further problems? How do the Display drivers have anything to do with the problem? Does anyone else have the same problem as I? I did a small search and I haven't find anything. You may go ahead and install the latest Intel drivers. Please let me know if the original issue still exists. In addition to this issue, I am getting another similar issue. When I close the lid it normally puts the laptop on sleep mode. But there are some times that the power is still on, after I close the lid, and the screen turns black. Laptop doesn't seem to be running in sleep mode, but it's like it's not responding. So I am forced to shut it down from the button to get it work again. The quick-automatic test completes with no errors. But when I run the Thorough Test Mode it stuck on the hard drive, 94% and it was there for about 30 minutes until I canceled it. When I only run the hard drive test it is stuck on 10%. It seems the issue is with the system hard drive. It is failing and needed to be replaced. If you are residing in the US, you may contact dell spares to check for the price. Please refer to the link: http://dell.to/11GOIPD. For Owner’s Manual, please refer to the link: http://bit.ly/11R8yLX.